Keeping up with regular engine maintenance and investing in a few diesel engine mods can help improve diesel engine performance and fuel efficiency. As one of the best Edmonton diesel performance shops, Revolution Motors offers full diesel engine repair, tune-ups, and diesel performance upgrades that will make your truck faster, stronger, and more efficient. You can also ensure your diesel fuel injection system is running smoothly and efficiently by using diesel fuel injection cleaners when you fill up and change your filters regularly. There are other diesel fuel additives that can help your engine including deposit modifiers, lubricants, corrosion inhibitors, water demulsifiers, freeze depressants, and others. Learn more about diesel fuel additives. Ask us for recommendations or pick up our favourite diesel fuel cleaner at Revolution Motors! Diesel tuners, also known as programmers, are small electronic devices that can help manage and improve your diesel engine’s performance, more or less ‘tuning’ your engine to your specific needs as a driver. Tuners are easy to install, cost-effective, and can greatly improve fuel economy. Some of the tuners we use include EDGE tuners, STT tuners, EFI Live tuners – which allow custom tuning – and many others. If you want to learn more about how you can improve performance with diesel tuners, contact us today! Aftermarket air filters and cold air intake kits can improve your diesel engine’s performance. They help to reduce airflow restriction while effectively filtering contaminants and keeping your engine clean. Because you are getting more air in, you’ll get more power out and with the latest innovative technology you won’t sacrifice fuel economy either. Revolution Motors uses S&B performance filters for diesel trucks we service. The exhaust system plays an important role in your diesel performance. For the engine to expel a larger volume of exhaust at one time, Edmonton diesel truck owners can consider installing an exhaust system that has a bigger capacity. This will allow the engine more horsepower and the more horsepower you have, the more exhaust it needs to expel. 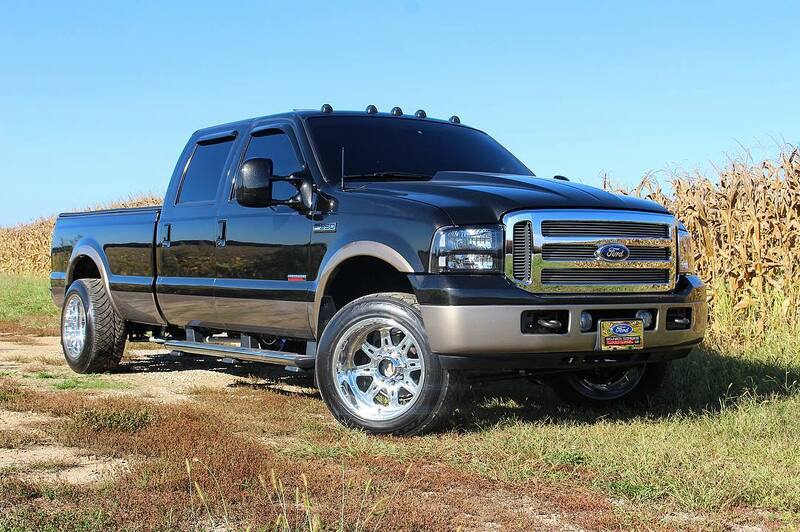 This is a worthwhile upgrade because it helps your diesel truck achieve perfect balance. Commonly used diesel performance mods are DPF, DEF, and ERG Delete aftermarket kits. If your truck has a Diesel Particulate Filter (DPF), Diesel Engine Fluid (DEF) system, and an Exhaust Gas Recirculation (EGR) installed in the engine, you could benefit from one of these aftermarket delete kits. While each system has a different function and can help burn off soot and reduce exhaust emissions, they come with their share of problems and can reduce performance, mileage, and even shorten your engine’s lifespan. Delete kits can remove these systems from your engine to improve performance and fuel economy and reduce costly engine repairs. Learn more about DPF, DEF, and EGR Delete kits. Upgrading to performance fuel injectors can give your diesel engine a higher range of power output and even improve fuel efficiency. Some fuel injector mods claim to increase diesel engine horsepower by 50 to 100 hp with the right mechanical adjustments. These special fuel injectors use an effective hole pattern to provide the most optimal delivery of fuel to your engine. You should also book an appointment for diesel fuel injector service every 100,000 KM. When it comes to diesel performance upgrades, a turbocharger is a good investment that can give you more engine power. It can be especially useful if you use your diesel for towing and hauling heavy loads. Basically, a turbocharger will force more air into your diesel engine’s combustion chamber, giving it more oxygen which gives it more power. Regular check-ups for your diesel engine will help detect any issues that could be deterring your engine’s performance and could prevent costly repairs in the future. Because components of your diesel engine run at very high pressures, it can put a lot of wear and tear on your engine. Periodic maintenance performed by an experienced diesel technician will help improve performance and efficiency and keep your engine running longer. Revolution Motors is passionate about diesel engines and dedicated to giving you the best advice, service, and diesel performance mods available. Our certified technicians are specifically trained to work on your diesel engine and our shop uses top-of-the-line equipment and technology to ensure your diesel engine repairs, service, and modifications will give you better performance, reliability, and fuel efficiency. If you’re interested in some of these diesel engine mods, contact us today!